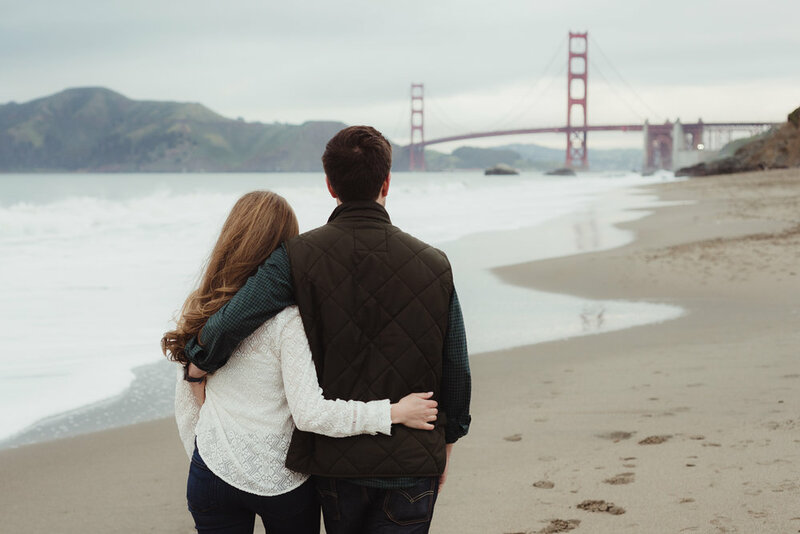 Katy and Ian love living in San Francisco, especially since Katy grew up in the city. 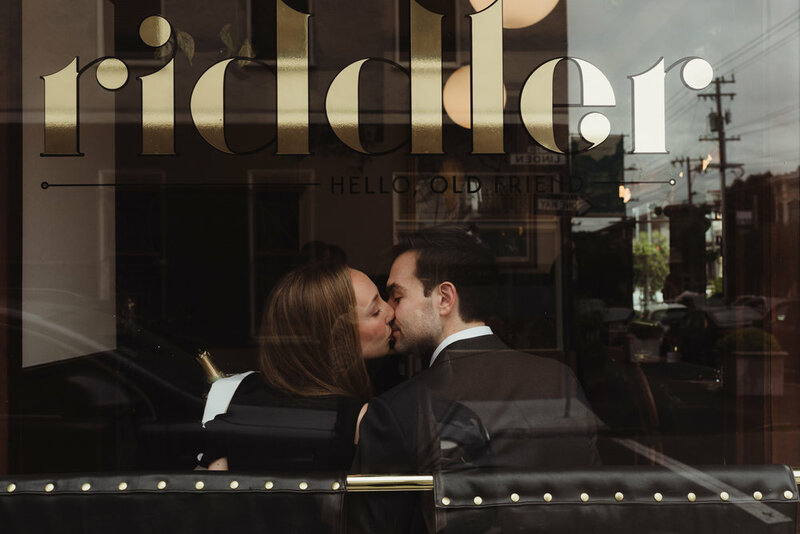 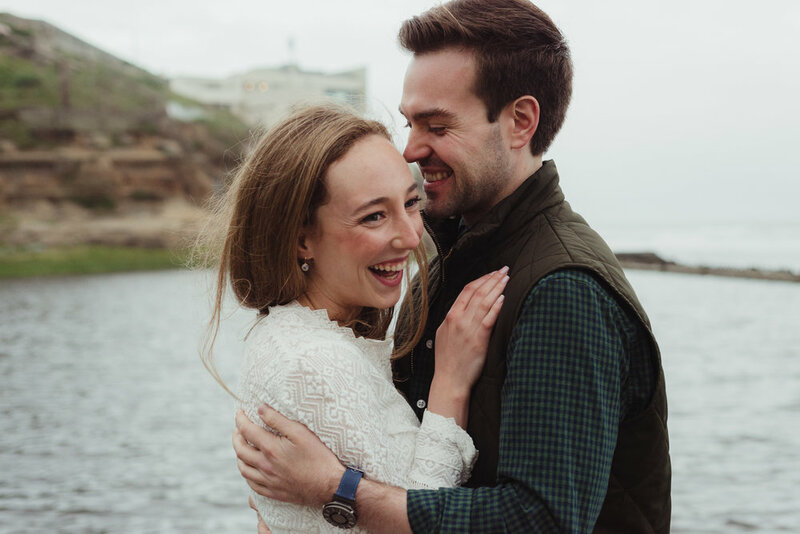 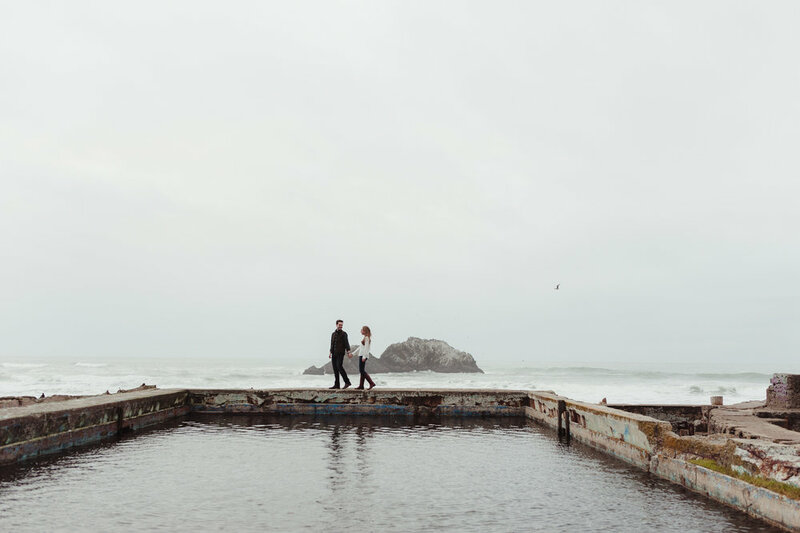 For their engagement session, we made sure to visit a few of their favorite spots starting with The Riddler, a cute champagne bar in Hayes Valley. 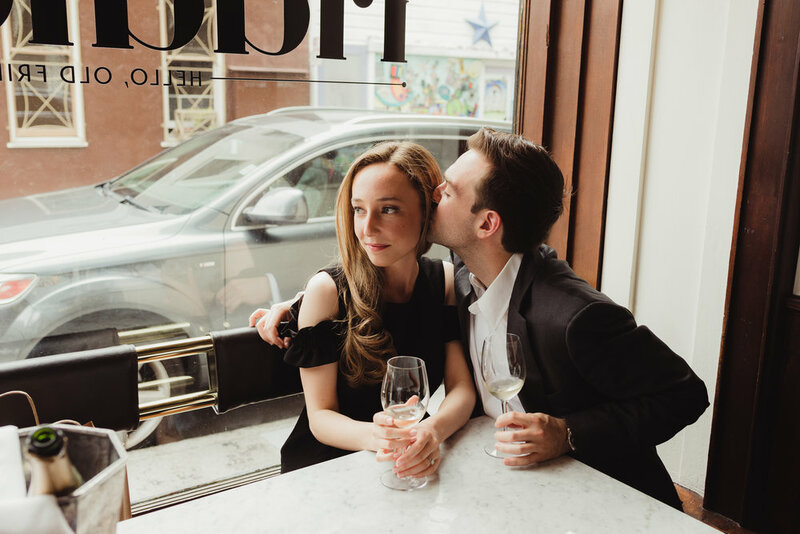 They sipped some bubbly and enjoyed some fancy cheeses before we headed over to Miette where we hung out drinking brightly colored juices from The Juice Shop. 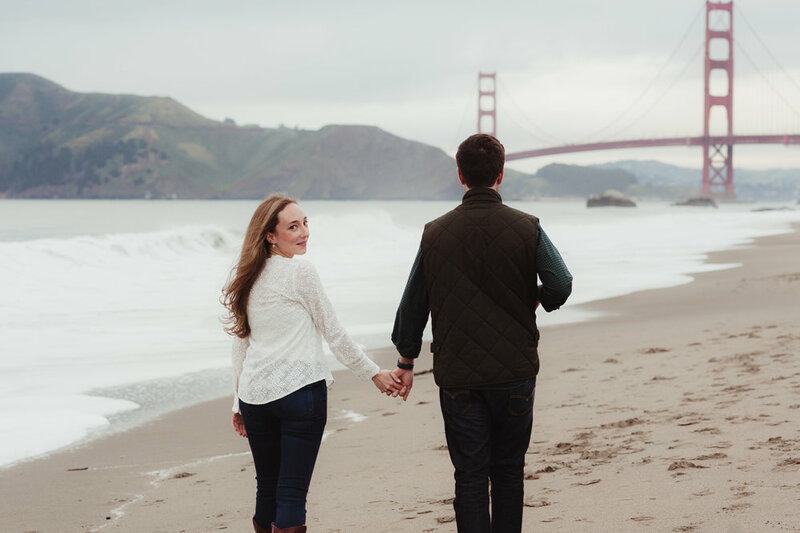 The weather had been looking pretty dreary all day and as we headed over to the piers at the Embarcadero, it started to sprinkle. 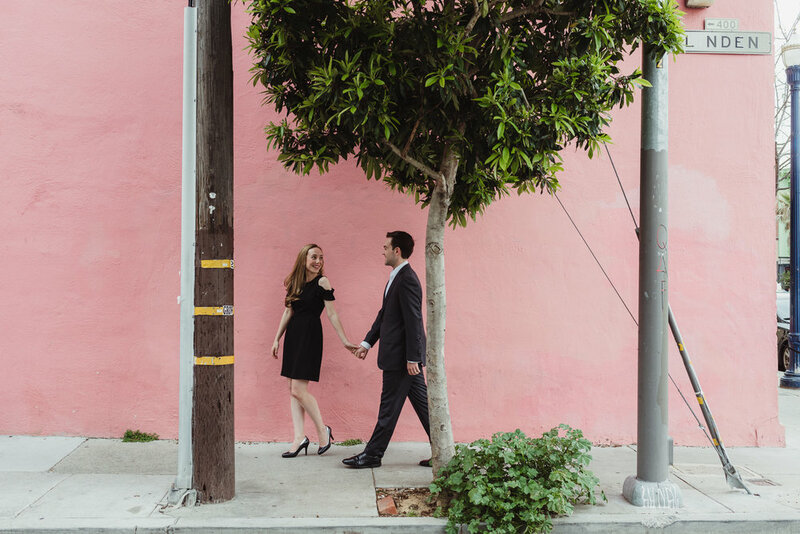 Luckily, Katy and Ian had some cute clear umbrellas that made the perfect props! 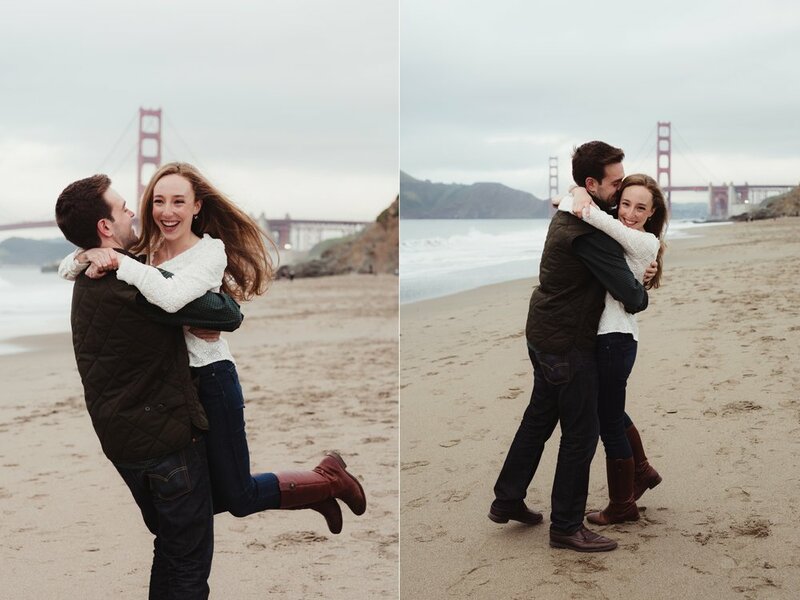 We wrapped up the shoot along the coast, stopping by Baker Beach and Lands End.